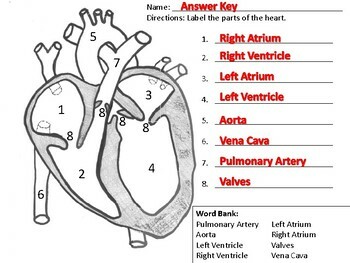 There are different variations of the worksheets included in order to modify to several levels. 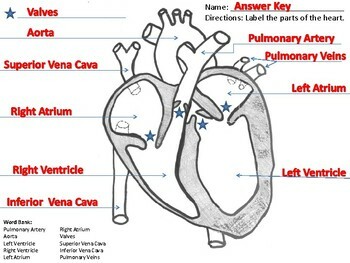 Students must label the parts of the heart including: atrium, ventricles, aorta, pulmonary artery, pulmonary veins, superior vena cava, inferior vena cava, and the valves. 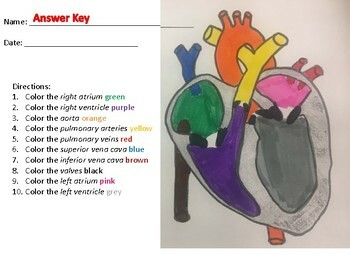 Another worksheet has students color the parts of the heart. There are five different worksheets total. 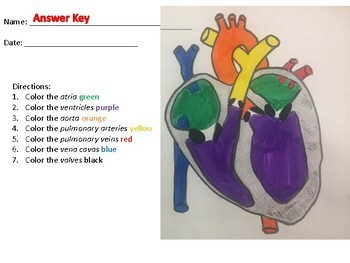 Please visit my store to access the heart/ circulatory system/ cardiovascular system flashcards activity. Includes the answer key. I am a special education teacher who used this for the MCAS-Alt exam for 10th grade biology, but is perfect for students without disabilities as well. Please let me know if you have any questions/suggestions as I am happy to make any and all changes to make this product work best for you! Enjoy!